Re:Vision is a non-profit organization based in SouthWest Denver and is committed to partnering with families in marginalized neighborhoods to grow grassroots solutions. In 2015, Re:Vision is poised to take its community food system model to the next level by launching the Westwood Food Cooperative (WFC). With the help of the Office of Economic Development, Re:Vision purchased a 1.7 acre commercial property (3738 Morrison Road), in the heart of Westwood, in 2014. 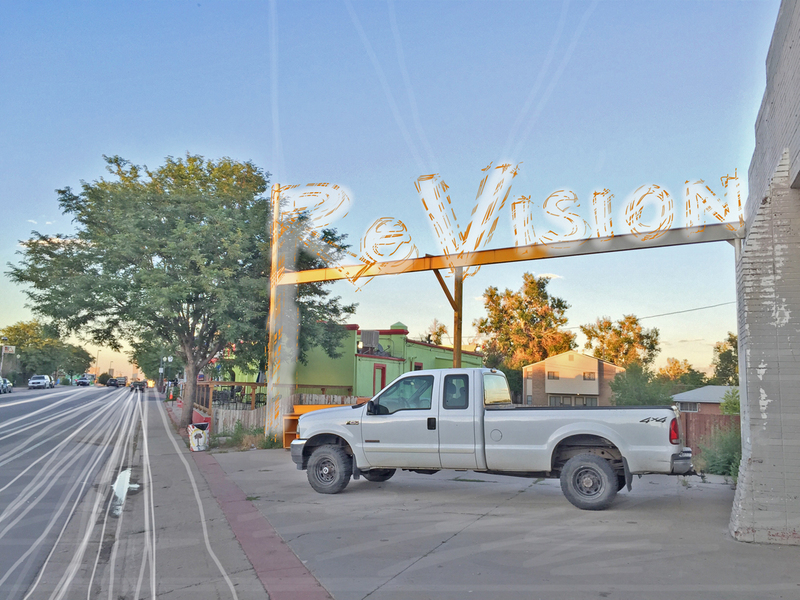 Re:Vision has a long-term vision for a large mixed-use development including: a regional hub for food aggregation, storage, processing, and distribution of largely Colorado agriculture products; a year-round commercial greenhouse and compost operation; a public mercado, serving as a cultural destination for food, music, and community-building; and a shared office building providing space and services for Community Wealth Building organizations. The Westwood Food Hub and Cooperative will source food and value-added products from over 40 local and regional family farms and food-related small businesses, as well as from 400 low income urban farmers, creating a reliable market for local food producers to sell their goods. It will create over 30 jobs for low-income and low-skilled workers in one of Denver’s most vulnerable neighborhoods. The food hub will also fill a huge gap in Denver’s local food supply chain, becoming a the lynchpin in Denver’s Healthy Corner Store Initiative, the City’s 3-year effort to work with storeowners in food desert neighborhoods to make fresh, healthy food available to local residents. By distributing food to 50 corner stores and 4 community food cooperatives across Denver, it will increase access to healthy and local food for over 50,000 Denver residents. This ambitious development will be phased in over the next 3-5 years.